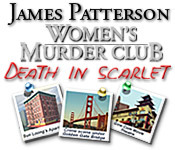 James Patterson Women's Murder Club: Death in Scarlet is rated 3.5 out of 5 by 28. Rated 5 out of 5 by JulzCat from You Feel Like a Real-Life CSI! I'm not sure why this game got such bad reviews, I loved it! My only complaint would be that the hidden objects were a bit too small. I enjoyed the mini-games and the eerie story line. I also enjoyed pretending I was a lab tech. I look forward to the next one! Rated 5 out of 5 by WhiteLily20 from A Great Game! This game is a lot of fun and has a great storyline! Definitely recommend! Rated 5 out of 5 by Polisuco from In the dark corners of San Francisco a murderer strikes... When I first played this game many years ago, I absolutely loved it, and I still love it! It's a great game to play over and over again for me. I simply adore it! Pros: - Everything! :) The music is amazing, the atmosphere is great, the artwork is just beautiful, the storyline is amazingly well written, the characters are interesting, and so on. Everything is well-made. This is a very polished game and you can see that the creators really like their job. The chinese decorations in the apartments is so beautiful... You actually feel like a detective in the city of San Francisco. It's that great! Cons: - It isn't short at all, but since I love it so, I wish it had been way longer! ; This game is way, way better than most criminal tv-shows on TV nowadays. Really. But, in compensation, it's an a-m-a-z-i-n-g game. However, I wouldn't recommend it to people that aren't fans of looking for hidden objects much. I sincerely hope you will love it as much as I do! Rated 5 out of 5 by kenya64 from You are the detective! This game is very interactive. 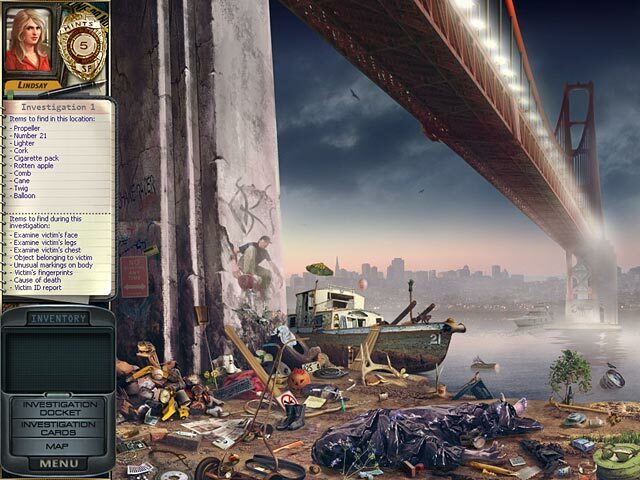 You are the main detective on the hunt to solve the mystery. Duh... haha, I don't wanna spoil the storyline, but enjoy! Rated 5 out of 5 by AngelQueen36 from Fun Game I really enjoyed this game. Wonderful scenery and music. Enjoyed playing each person. Rated 5 out of 5 by Mrs_Kim from James Patterson WMC: Death in Scarlet I love detective game so this one is perfect for me. It is a bit graphic, but they're clear and so realistic. There is combination of mini games and HOG, although the HOG scenes many times can be difficult to find and the objects are super tiny. Still, it's a good game and is a game to be played over and over again. Rated 5 out of 5 by Rudygeegee from Great Game! Very good game with excellent HOS and puzzles. I like how the game is set up as a mystery, and you are a private investigator, adds to the enjoyment. 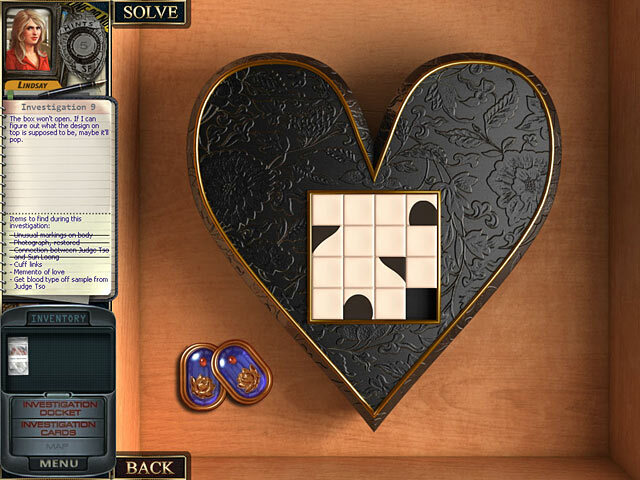 Puzzles were varied and interesting. HOS graphics were bright, clean and crisp. Felt like I was reading a book, following the clues. I highly recommend this game! Rated 5 out of 5 by dejay321 from Hours of fun! I really enjoyed the game. The storyline was good and kept me interested. Objects were small and well hidden. Had to use the hint button a few times to find some (unusual for me). Other puzzles and games throughout this made the game a little more interesting and fun. All the James Patterson games have been great to play. Rated 4 out of 5 by denniann2 from a pretty good game i don't like the limited hints for each investigation. the items i need to find are sometimes too small to distinguish. 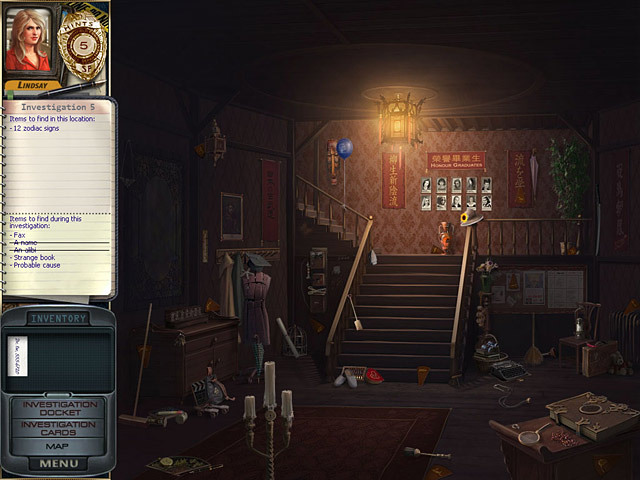 you really need the hints to finish each investigation and i didn't find a way to get any more after the 5 you are given are used. i did finish the game, though. Rated 4 out of 5 by SummerSkyeSloane from Intriguing Mystery Plot, Created Well Technically This game is so good technically, in the past I've had glitches with a few games of this type but NOT this one: it flows very smoothly. There is a team [female detective, forensic lab tech, reporter] to solve the multi-murder mystery and also a varied compilation of suspects and victims. The storyline is interesting and there are many sites for HOGs but you're never confused as to where to go since the well-made game directs you to new venues. There are different mini-games and IF desired, you could skip them without penalty. Graphics are excellent on the whole but I could only rate them a 4 out of 5 because some of the items to locate are either so small or incredibly hidden. Still, I did manage to find them with the occasional help of a hint button. Overall, this is a terrific game and I would have given it 5 stars except for my whine about finding things [because FYI, my laptop screen is only 17 inches].